I felt a little inspired to share with you how Imperian has helped me creatively in my own life. First off, who the heck is Scarboro? I'm certain a vast majority (of those that have stuck through to the very end) don't know about this Character I had developed for specifically this game and moreso for intensive Role-play purposes. Anyways, simply HONOURS EOSPHOROS for a little insight if you're interested. Unfortunately there seemed to be a lot of decline in RP going around and sadly my investment towards Scarboro did not yield much fruit within the game. My over-analytical brain took 3 entire years to fully flesh this Character out, very extreme I know, and why it has great significance for me due to the time and effort spent, but hopefully not in vain. 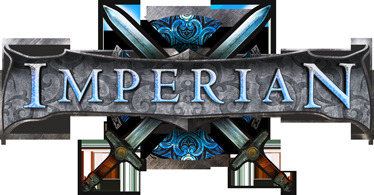 Outside Imperian, I enjoy creating music: making beats for friends or original mixes in the electronic dance genres. Then I had this idea - what if I took elements from Imperian to create a unique brand name for myself as an aspiring artist calling myself simply, 'SCARBORO'. How would this translate from Imperian to the music world? It starts with fundamentals like the race of the Character: Akrabi. The brand image I have in mind would be a tribal scorpion design. Colours include white, orange, and grey. The Character is described as 'albino Akrabi' all white with coral pink-hued eyes. Also white as in purity, and purity as in the God of Light and lesser degree the Suns, moreso Light. Orange because that is the color of the Character's blood (very alien-predator like, creature look) and grey looks good with white other than the overused black/white. Think of 'White Label' from Mountain Dew to get a sense of colour palate in terms of lightness and the purity of all white. Also being a natural predator and seeking out to become an Idrasi is part of the Character as well but to a lesser form. There is a lot of depth to the Character as well as lots of details, which plays into the kind of music I enjoy creating as an artist. All these various colors and images help form the look I wish to bring as an artist in order to bring about a very unique and custom brand that isn't a cliche. The idea of Scarboro became too big for just this game alone, there's also a certain mindset that comes with the Character, a quiet confidence and cool and calm. And with that mindset comes the type of music I wish to share as my personal style of what is known as Tech-House and Techno genres of EDM, which is heavy rhythm orientated music. I hope this was entertaining and insightful. Perhaps if anyone is interested in the music I would be happy to point you to my SoundCloud page where it would be posted.